There are many shoes choices available for the modern man. Let's get down to business and lay out your basics. A quick piece of advice is to stay with round or almond shape toes and avoid long or square toes. The Cap Toe is the classic dress shoe. It is identified by the stitching across the toe box. There are many varieties available. It can be either an oxford, or a derby, brogued or smooth, brown or black. No matter how you dial this up, it's a must for your closet. The picture shows a Johnston & Murphy Conard Cap Toe in Tan. 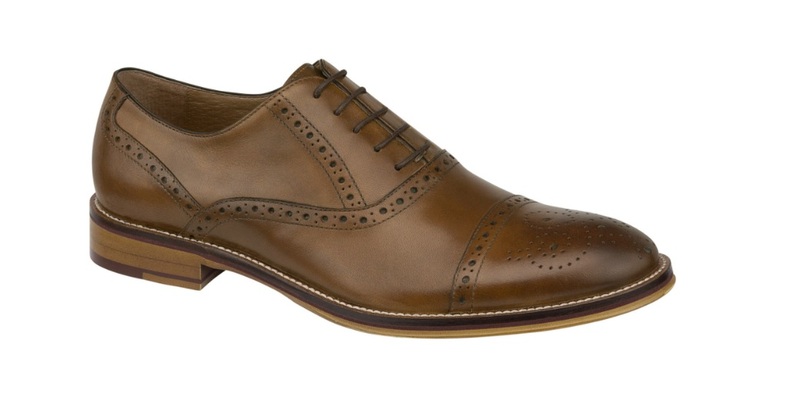 Wingtips are a classic shoe that can be either dressed up or down. The name comes from the winged pattern on the toe and sides of the shoe. Wingtips never go out of style and are always a great choice. The picture shows a Johnston & Murphy Conard Wingtip in Mahogany. From classic Penny Loafers to more trendy drivers, every man needs at least one slip on in his arsenal. Loafers are typically on the more casual end of the spectrum, but can look great dressed up as well. 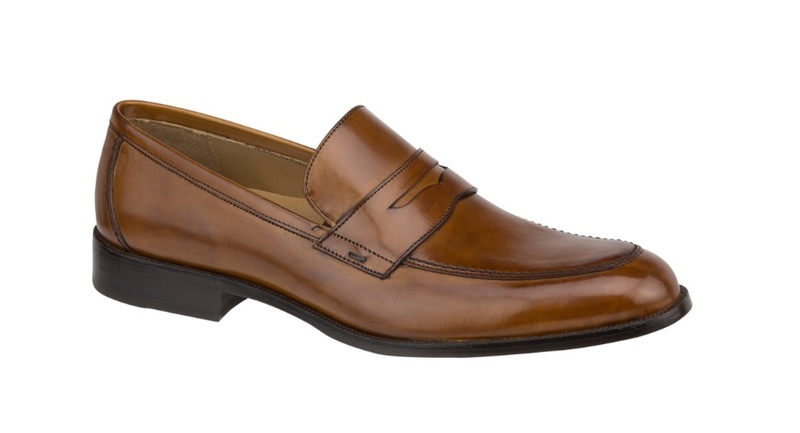 The picture shows a Johnston & Murphy Stratton Penny Loafer in tan. Boots are a great staple shoe for the fall/winter, however, they are currently acceptable for all season wear. There are many varieties to choose from and are perfect for the modern sophisticated casual look. 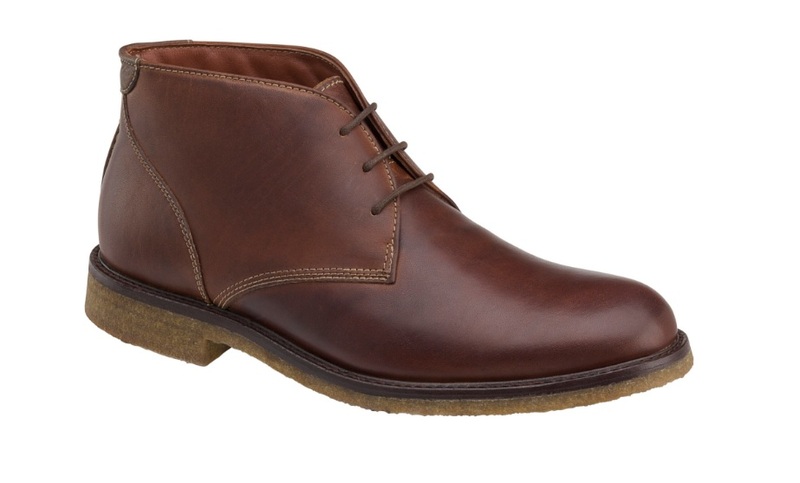 The picture shows a Johnston & Murphy Copeland Chukka Boot in Red Brown. No I don't mean running shoes, or sketchers. I'm looking only for casual, clean, traditional sneakers.These can be worn with jeans, shorts, and 5 pocket trousers. Dress them up with a blazer or down with a T-Shirt. Sneakers are a must for your wardrobe. The Picture shows Peter Millar's Skyline sneaker. Please contact us anytime with your questions or styling needs. We are passionate about helping you to Look Good and Live Great.